MATcutter.com sells mats and supplies of tape, glue, easel backs and plastic photography corners. 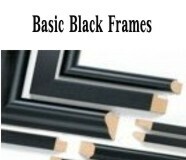 Framers Tape, Archival Hinging Tape, Transfer Tape, Glue, Brillianize, Mounting Corners and all the accessories that make your picture framing job easier. Click on image to see details and sizes. Brillianize 8oz spray bottle. Simply the best! In almost 40 years of picture framing, it is the best plastic cleaner/antistatic I have ever found. Simply spray on soft rag if cleaning with picture hanging on wall (this avoids moisture getting under glazing and possibly staining mat) or spray directly on the glazing if picture is laying flat on table or floor. It cleans and shines acrylic glazing and, as a bonus, reduces static charge. Great gift for another artist. Or, use it yourself instead of a credit card! MATcutter.com gift cards can be used on for any online products. Simply enter the code number on the back of the card in the GREEN gift card box just before the credit card entry. Available in amounts of $10.00 and up. There are a lot of different tapes in the picture framing industry. They all deal with attaching a print to a mat or back and attaching a mat to a back. Framer's Tape: Our biggest selling tape. Comes in white and clear. It has an archival grade adhesive that has no harmful plasticizers on a polyurethane carrier. Framer's Tape II is used to hinge prints to backings or mats and hinge mats to backs. It is thinner than traditional archival linen tapes and stronger than traditional paper hinging tape. The strength is both a positive and can be a negative. Paper hinging tape is a traditional archival method of attaching prints to mats or backs. It use is based on the theory that if the picture is jarred, falls off the wall, the hinging tape will tear before the print paper does, thus protecting the print. However, on the other hand, paper hinging tape is questionable for larger or heavier prints. Manufacturer claims Framer's Tape can be 'removed with minimal heat". Although true, I have found that it can be difficult depending on the type of paper used with the print. Roll is 1" wide by 180 feet long. Gummed Archival Paper Hinging Tape: Traditional tape used for hinging lighter artwork. As mentioned above, the theory is that when jarred or dropped, the tape will break before the paper print does. It is a gummed tape so it is water reversible. Adhesive has a neutral pH. Archival paper hinging tape is acid free and lignin free, the property that produces acid in paper. The paper is buffered to resist reacidification. Acid Free, Gummed Linen Tape: Again, a traditional archival tape. It is strong and has a neutral pH adhesive that is water reversible. Rolls are 1" wide by 30 feet long. Acid Free, Self Adhesive Linen Tape: Same as above but with a self-adhesive tape for those who do not want to dampen gummed tape to apply it. The adhesive is neutral pH acrylic adhesive. Rolls are 1 1/4 inch wide by either 33 feet or 150 feet. Double Faced Tape: Same tape we use in our One Step mat and back products. Archival grade adhesive. Simply press tape onto material by hand, pull off the paper cover to expose the tape and apply your mat to the back or attach top mat to bottom mat. Roll is 3/4 inch wide by 72 yards (216 feet) long. Neutral pH glue for attaching mats. Stays flexible, easy installation. This is a simple white glue that does not have some of the chemicals in most other white glues. It is ued in the book binding business because it is not harmful to paper. In the picture frame industry, it is mainly used to attach a mat to the backing or to attach top and bottom mats together when hinging tape is not necessary or convenient. When gluing, simply run a bead around the window about half way between the window edge and the outside edge of the mat or on the back in approximately the same position. When the mat is put on the other mat or on the back, the glue will spread enough to make a solid join. Mylar and Polyprolene Ultra Clear Mounting Corners. Fast and easy. Mylar is the clearest plastic and is typically the first choice of museums. Polypropolene, although not as clear is inert, acid-free, safe and widely used for mounting. The image can be removed easily since there is no tape. Both are used to mount light to moderate weight prints. Adhesive never comes in contact with the image. The image can be removed easily since there is no tape. There are two designs of corners: Standard and Fullview. The standard forms a triangle and must be mounted far enough from mat window to be covered completely by the mat. Fullview minimizes the border required to hide the corner. Mylar Mounting Strips are additional mounting aids when you need extra support between the corners of the prints. Mylar polyester is the top choicer of museums. They are 4 inches long and are attached to a 2 ply mat with a Self Adhesive back. Simply position the artwork and adhere the strips to the mount board. No adhesive touches the art. Application is fast and easy. Simply peel and stick. Attach easel to your backing and you have an instantaneous easel back. Can be applied horizontally or vertically. 7 inch and larger come with "double wing" design for more stability. White color. Come in packages of 25.